Purveyors of the banzai 3 Wheeler, the beautiful 4/4 and the ridiculously British Aero8, Morgan already knows a thing or two about creating low volume, hand-crafted machinery for those with exquisite tastes. It seems obvious, then, that MMC has decided to team up with Pashley, the longest established British cycle manufacturer, for its latest venture. 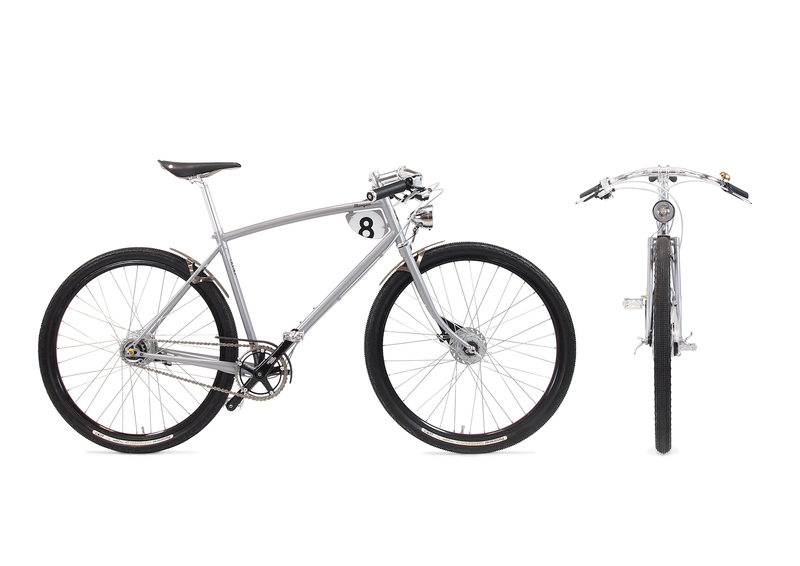 Two concept bicycles were the result of this pairing, with each loving crafted at Pashley’s Stratford-upon-Avon factory and featuring a fillet brazed, Reynolds 631 tube frame and a finishing kit that includes Brooks Saddles, a Sturmey Archer gearing and other big names in the cycling industry. 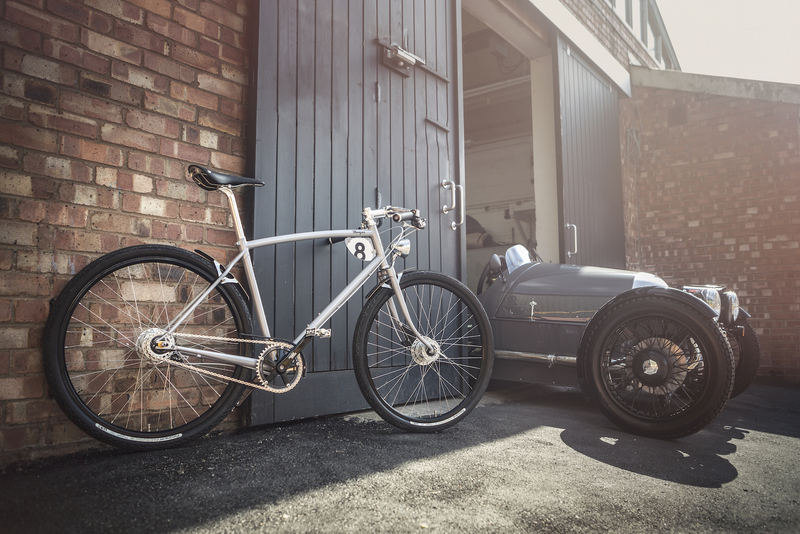 Although just concepts to begin with (both were shown at Morgan’s Thrill on the Hill event earlier this year), the British car maker has revealed that it will put the bicycles into production. The Pashley-Morgan 8 will retail at £1,595, is finished in light pearl grey and features subtle livery inspired by Morgan’s racing heritage. Completing the look are hand stitched black leather grips and Morgan aluminium end caps (based on a dashboard control). Matching mudguard and chainguard are hand crafted in wood, drawing similarities to the cars themselves. 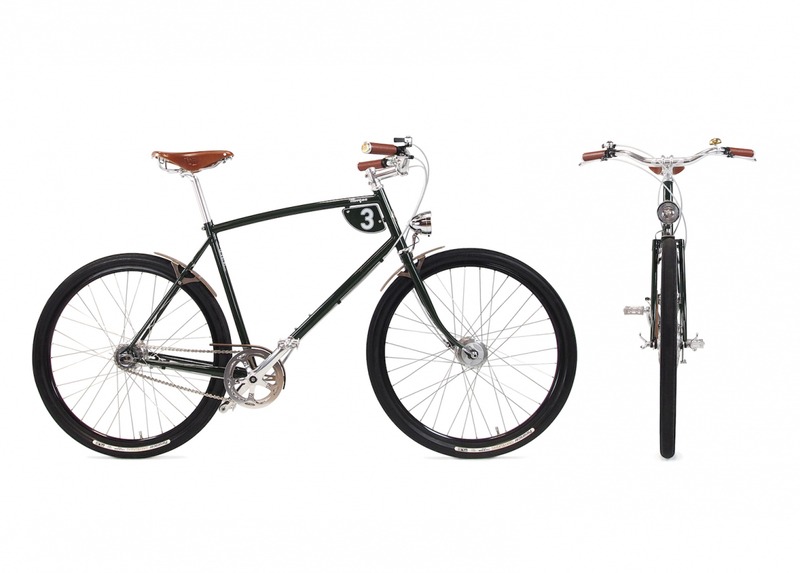 The Pashley-Morgan 8 also features an 8 speed Shimano Nexus internal geared hub and a Shimano Nexus dynamo front hub paired to a classic domed style headlamp, as well as a Brooks Black Cambium C15 vulcanised rubber saddle with organic cotton surface. 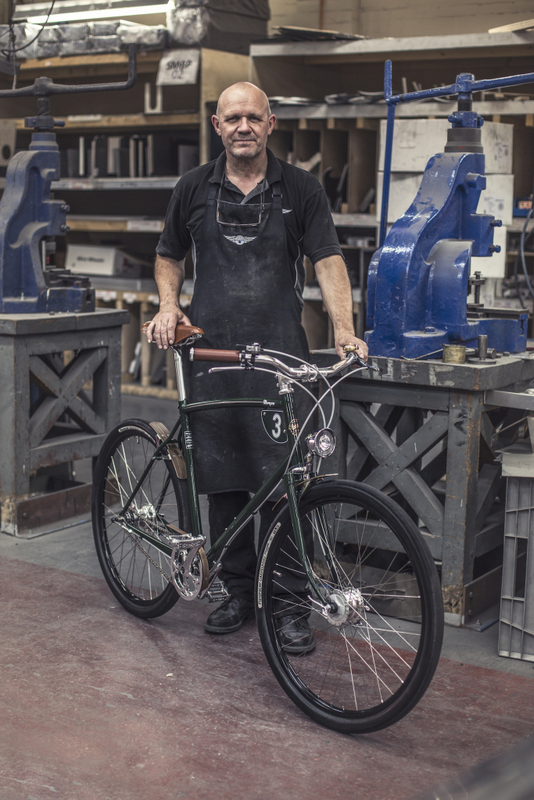 A second bike, dubbed the Pashley-Morgan 3, is finished in British Racing Green and livery inspired by Morgan’s racing heritage. It also features hand stitched honey leather grips and Morgan aluminium end caps, a Brooks B17 saddle with walnut laminated wood veneer short mudguards and matching chainguard. It also boasts a Sturmey Archer 3 Speed internal geared hub and a Sturmey Archer dynamo front hub paired to a classic domed style headlamp and costs £1,495. Both of the fine British bicycles can be found on Morgan’s website. Click here if you fancy owning one.